Our Polar Travel Specialist shares some tips, tricks and handy hints about first time Arctic travel. Read on and discover how you can best prepare for your first-ever Arctic experience! When people speak of “the Arctic”, they’re usually referring to the area that lies within the Arctic Circle. What many don’t realise is just how vast this space is! Encompassing the North Pole and areas of Norway, Canada, Russia, Alaska, Canada, Iceland, Finland, Greenland and Sweden, the possibilities for where you can travel to in the Arctic are seemingly endless. With so many options, it is important to choose your Arctic destination based on what you want to see. The Canadian Arctic offers untamed wilderness, remarkable Inuit communities and Churchill is known as the world’s “polar bear capital”. Trace Franklin’s footsteps by sailing the Northwest Passage and witness the impressive Arctic wildlife, or experience the Northern Lights in Greenland. Halfway between Norway and the North Pole, Svalbard is a popular choice for people looking to see the best of the Arctic. 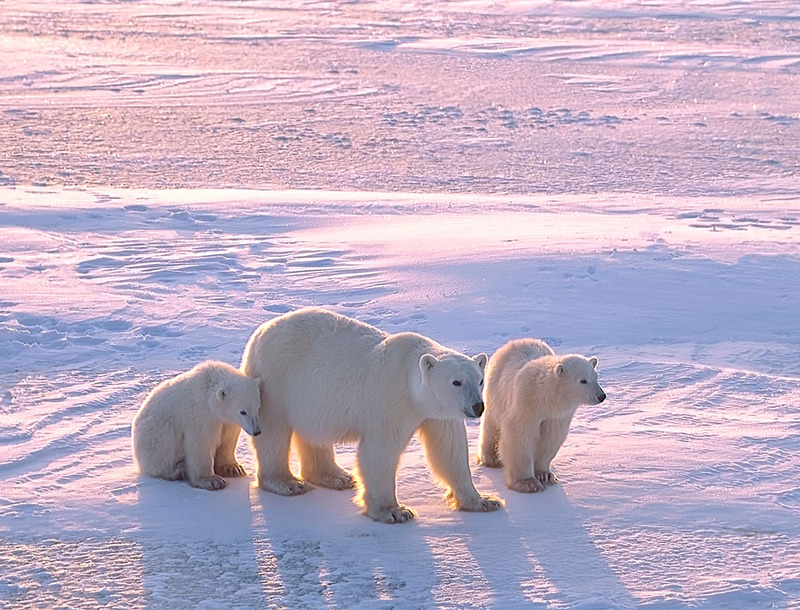 Our Polar Travel Specialist recommends here for the abundance of wildlife and breathtaking scenery. But don’t worry– no matter what you’re looking for, there’s an Arctic cruise out there for everyone! Like much to do with the Arctic, it depends on what you want to see and do. The typical season is between June and September when the sea ice is thin enough for expedition ships to navigate. During this period, the daylight can last up to 24 hours. At the beginning of the season you will have a greater chance of spotting polar bears as they hunt on the edge of the ice. As the season progresses, birds will migrate south and the days will become shorter. The timing of cruises will dictate largely when you travel. However, if you’re set on seeing the Northern Lights keep in mind the best time is between December and April. With a wide range of ships sailing to the Arctic, there is something for everyone! It is important to select an itinerary that suits the sights, wildlife and activities you are interested in. Ensure that your interests are provided for– if you are a keen birdwatcher, there are plenty of tours that showcase the stunning birdlife of the Arctic. Layers will keep you warm but also allow you to easily adjust to different temperatures. A good camera matters. When travelling to one of the most spectacular landscapes in the world, you’re definitely going to want to capture the moment. Make sure you bring a comfortable pair of rubber boots. When disembarking the Zodiac, it is likely you may have to step into some shallow Arctic waters, and no one wants cold feet! Pack sunglasses! Although it may seem counterintuitive for a trip to the snow, the suns rays can be strong, especially when reflected off the ice. Make sure you bring good quality sunglasses or goggles, along with sunscreen.